It's a very exciting day for us here at Mixed In Key. Today we get to announce the release of Audio Tracks in Odesi . We've been working on this update for a long time and we could not be happier to finally share this update with you. Take a look below to see what's new. 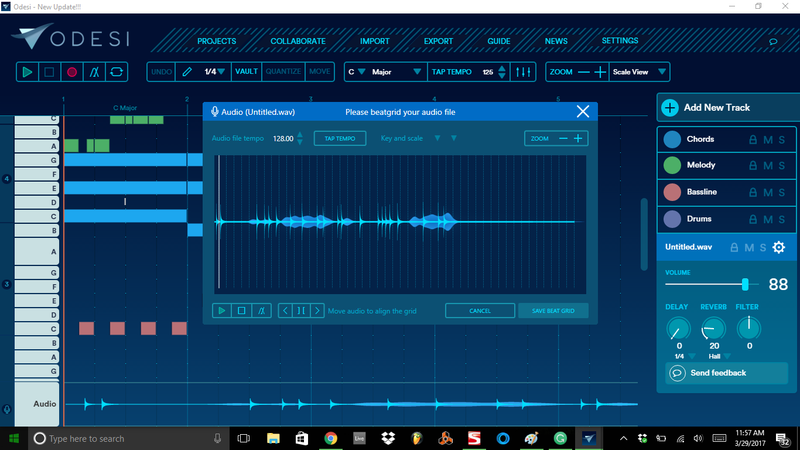 Audio Tracks - You can now add Vocals, Samples and other audio files to Odesi. Adjust the BPM and beat grid of your audio to fit your project, and create your own remixes inside of Odesi with no other DAWs necessary. 64-bit Support - We now have a 64-bit version of Odesi that is included in the update. This allows you to access all of the 64-bit versions of your VST/AU collection, as well as more RAM for your projects, allowing you to create longer and more complex compositions. New Folder Options - Now you can organize your projects in Odesi by creating folders in your project lists. Be sure to hit like and share below, and share your Odesi Audio projects in the comments!